Reptiles and amphibians, sometimes called herps, are cold-blooded vertebrates. 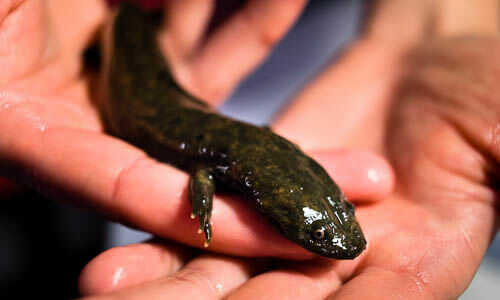 Hundreds of species live in the Chesapeake region: from salamanders that dwell along mountainous streams to sea turtles that visit the salty waters of the lower Bay. 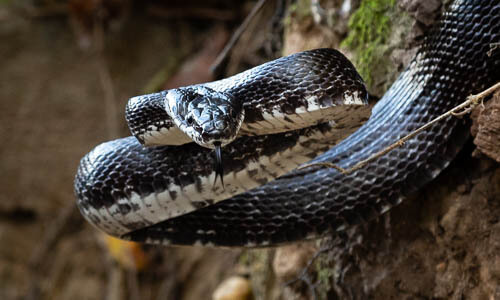 The black rat snake is a non-venomous snake with a long, black body and white belly. It can be found throughout the Chesapeake Bay watershed, from the mountains to the shoreline. 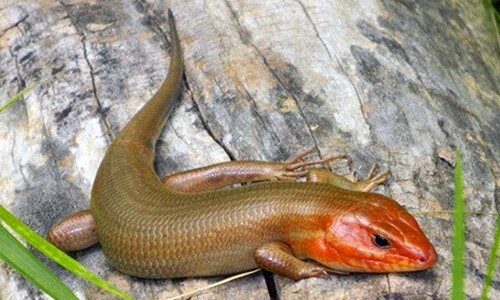 The broad-headed skink is the largest skink in the Chesapeake Bay region. It gets its name from the large, swollen jowls males develop as they mature. 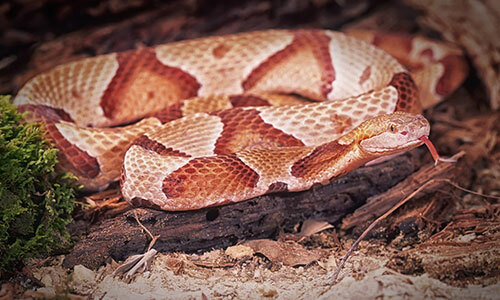 The copperhead snake is one of only a few venomous snakes found in the Chesapeake Bay watershed, although it is rarely lethal to humans. 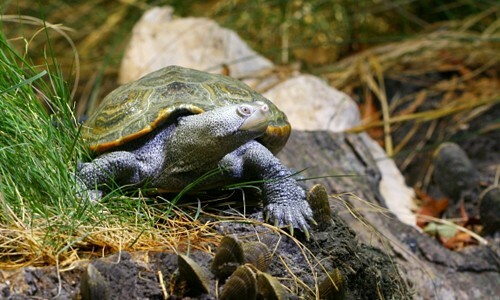 The diamondback terrapin, Maryland’s official state reptile, is an aquatic turtle with distinctive diamond-shaped rings covering its shell. It lives in and around the Chesapeake Bay’s brackish tidal waters, including rivers and marshes. 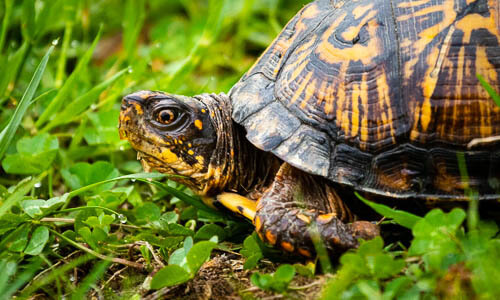 The eastern box turtle is a terrestrial reptile found primarily in woodlands across the Chesapeake watershed. 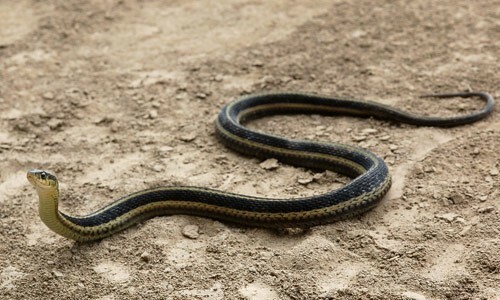 The eastern garter snake is a common terrestrial snake known for the three white or yellow stripes that run down the length of its back. 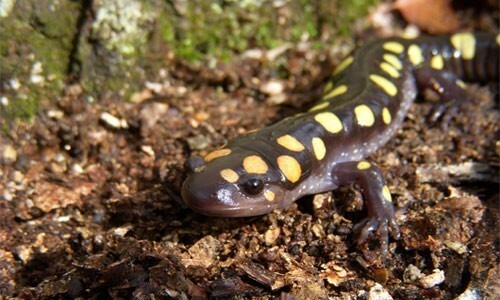 The eastern tiger salamander is thick bodied, with yellow blotches on its dark brown or black skin. It can be found in parts of Delaware, Maryland and Virginia. 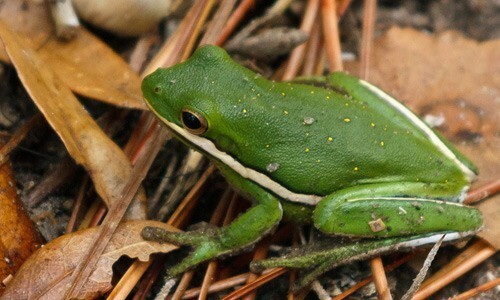 The green treefrog is a small amphibian that can be found in ponds, lakes, marshes and streams. Hellbenders are large aquatic salamanders that can grow more than two feet in length. They live in freshwater streams in parts of New York, Pennsylvania and Virginia. 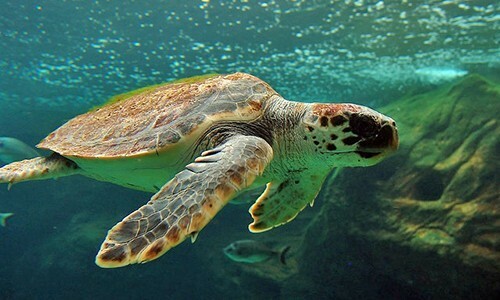 The loggerhead turtle is the largest hard-shelled sea turtle, with a heart-shaped, reddish brown shell. It can be found in the Chesapeake Bay from May to November. 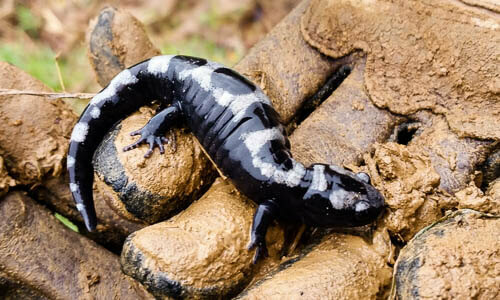 The marbled salamander is black with silvery crossbands along its body. It is found throughout the southern portion of the Chesapeake Bay region. 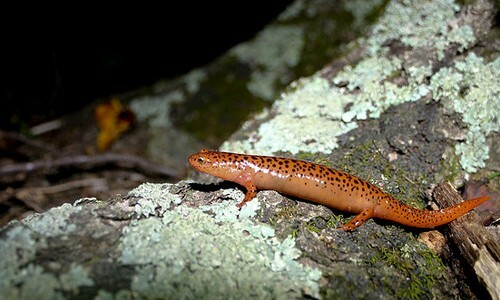 The northern red salamander is a small, reddish amphibian with black, irregularly shaped spots covering its back. It lives in cool freshwater streams and adjacent wooded areas throughout most of the Chesapeake Bay watershed. 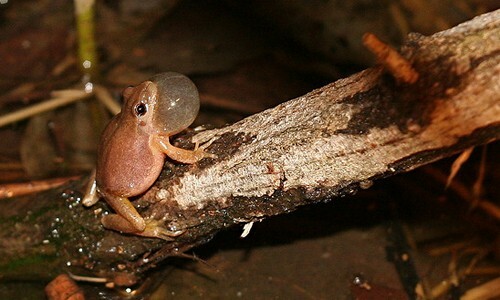 The northern spring peeper is a tiny, brownish tree frog with a distinctive X-shaped cross on its back. 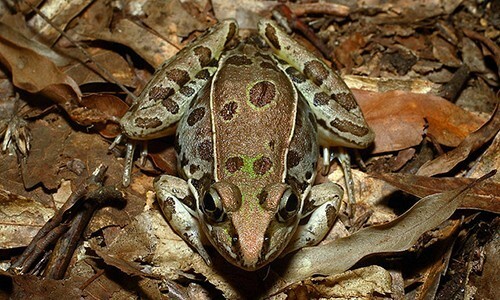 It lives in marshy woods and near ponds and swamps throughout the Chesapeake Bay watershed. Its “peeping” call is one of the first signs of spring in the region. 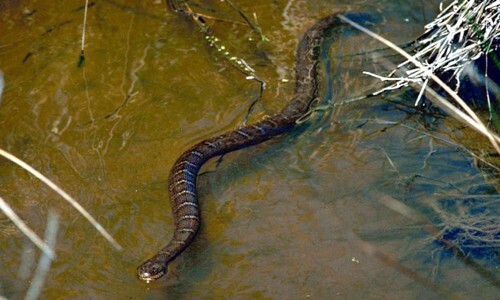 The northern water snake is a non-venomous aquatic snake that lives in lakes, swamps, streams and other waterways throughout the Chesapeake Bay watershed. 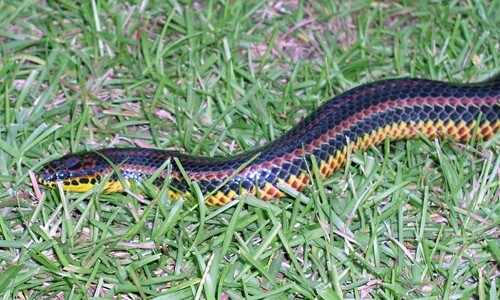 The rainbow snake is a beautifully colored, non-venomous snake that lives in streams, swamps and marshes in southern Maryland and eastern Virginia. 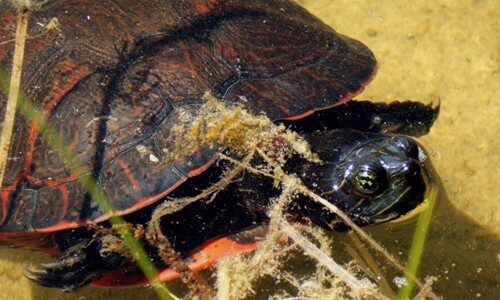 The red-bellied cooter is an aquatic turtle with a dark, highly domed shell and a distinctive red belly. 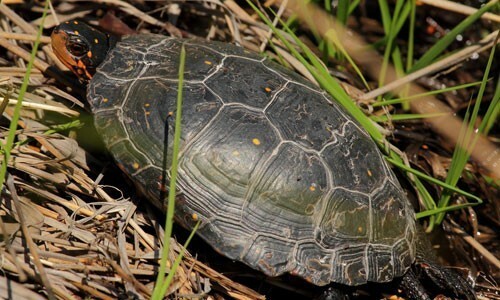 It can be found basking along the edge of ponds, streams and rivers throughout the Potomac River and in coastal portions of Maryland and Virginia. 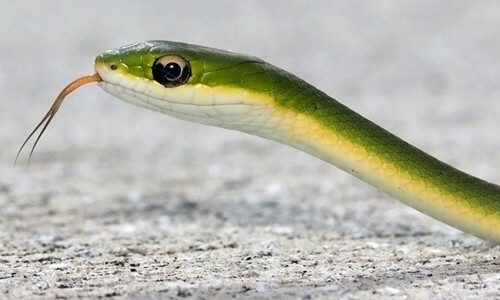 The rough green snake is a non-venomous snake with a long, slender, bright green body. It lives in leafy trees and shrubs in thickly vegetated areas throughout the Chesapeake Bay region. 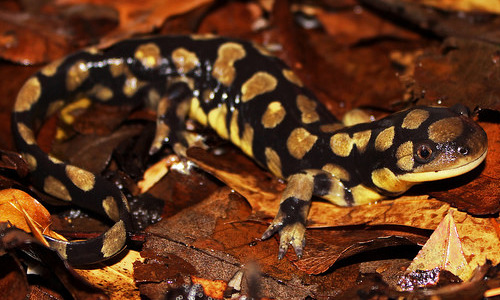 These grey, black or bluish salamanders can reach nine inches in length and have two rows of bright yellow or orange spots lining their backs. They spend most of their lives sheltered under leaf litter, logs and rocks. The spotted turtle is a small semi-aquatic species known for the bright yellow spots that dot its dark shell. The species is listed as threatened in several states and endangered on the IUCN (International Union for Conservation of Nature and Natural Resources) Red List of Threatened Species.